Why it matters: Apple took aim at the education market earlier this year with a new iPad priced at $299. By most accounts, Microsoft appears ready for retaliation with a budget-minded Surface for schools. Microsoft’s rumored 10-inch Surface tablet could make its debut as early as tomorrow if a recent teaser proves to be more than just a coincidence. 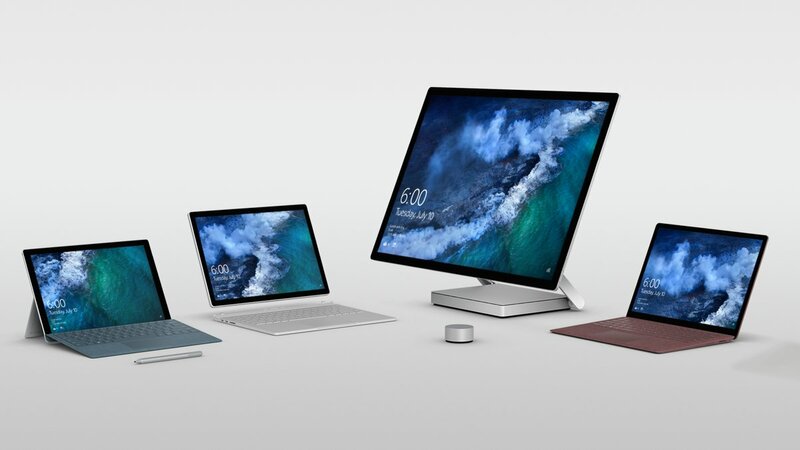 The Redmond tech giant on Monday published a stock photo of its Surface family on Twitter with the caption, “where will Surface go next?” The image features what looks to be a shadow where an additional device would sit. Furthermore, the date July 10 is shown on the screens of the other machines. Over on Reddit, a user claiming knowledge of the matter says the device will feature a 10-inch display with a resolution of 1,800 x 1,200 that’s powered by up to a Pentium Gold processor. Configurations are said to include a model with 4GB of RAM and 64GB of storage, 8GB / 128GB with LTE and 8GB / 256GB with LTE although all of them may not launch at the same time. Pricing is said to start at $399 for “education customers” and top out at $829, excluding any additional accessories. As always, it’s important to not invest too much stock into rumors like these. The Reddit user said he probably doesn’t count as a good source yet but happens to be positioned just right to make relatively harmless leaks like this.